Home misc Full Circle is one of the top ten downloads in Nov. 2011! Full Circle is one of the top ten downloads in Nov. 2011! 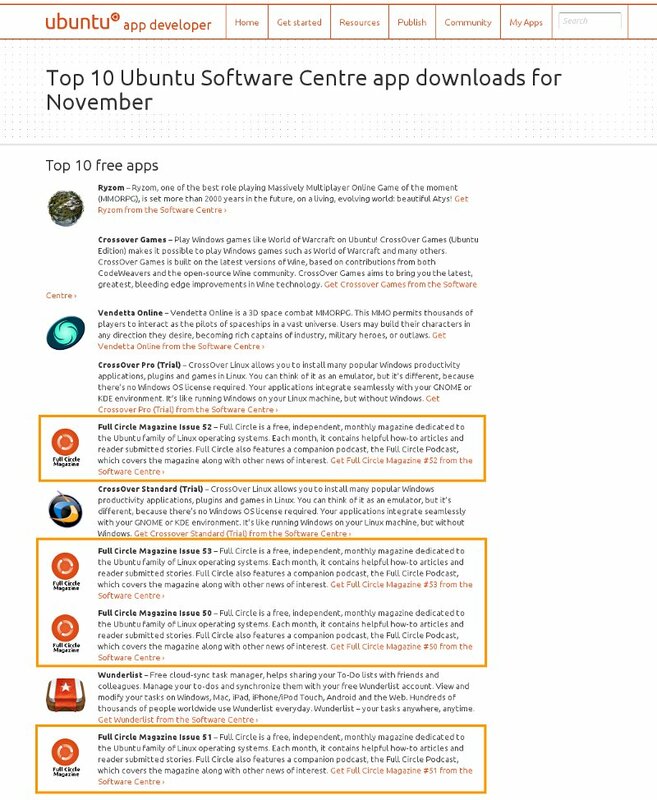 Full Circle fills four of the ten spots in the Software Centre’s top downloads for November 2011. Really thanks to you! 🙂 You share knowledge! That’s good, I enjoy reading your magazine every month. Knowing that many people are downloading it is a great thing to hear. It is a well done magazine. Congratulations to Full Circle Magazine for a job well done! Thousands, if not millions, of people around the world enjoy reading your publishing and I’m one of them! More power to the Ubuntu community!